My friend who owns a Samsung Galaxy Note 2 LTE version from Hong Kong got her Android 4.3 update a few weeks back and she said the speed is faster and the screen display is better. I am so excited. 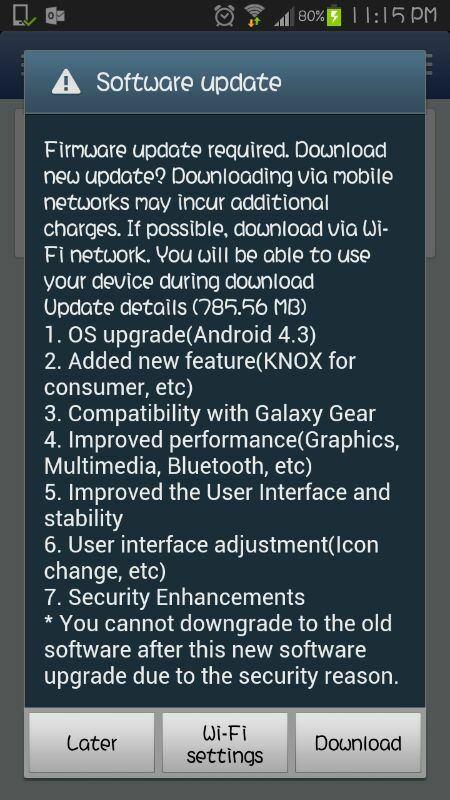 You can use OTA update. Just go to Settings –> About Device –> Software Update. Or just plug your Note 2 to your computer and go to Samsung KIES. Next story Gartien Pineapple Cake with 2014 Chinese New Year Theme! Previous story Official iPad Mini with Retina Display 2013 Price in Malaysia & It Is Available for Sales!